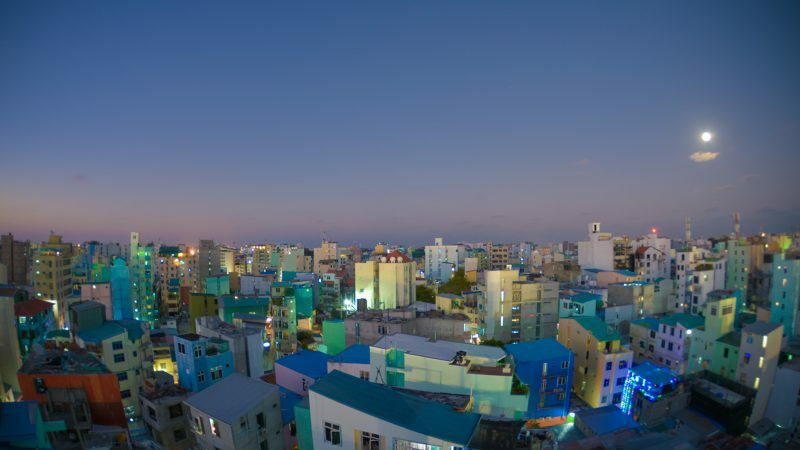 The overall objective of this project is to mainstream energy efficiency measures into policies, guidelines, standards and building practices in the Maldives and to achieve a substantial reduction of GHG emissions as a result of improved buildings and building management practices and to leverage substantial investment in activities leading to increased energy efficiency. 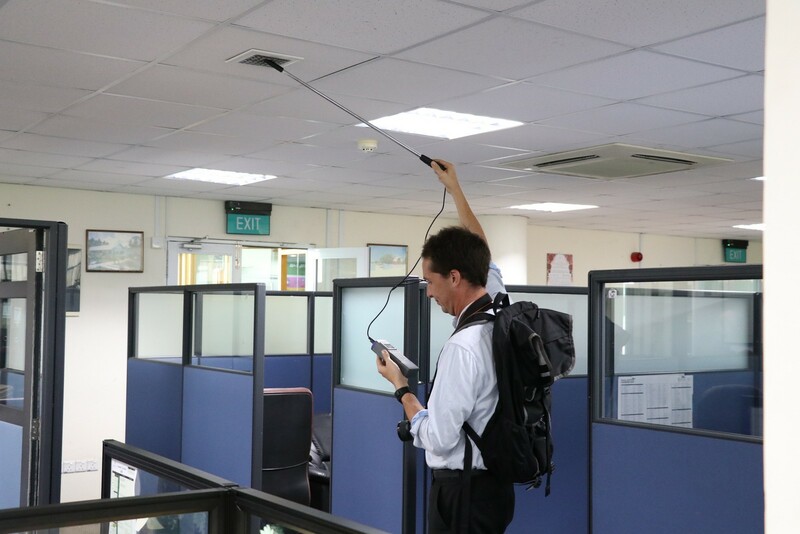 Surveyors were commissioned at potential locations to collect data for the development of Energy Efficiency Label design survey. The survey was carried out by 4 surveyors for 10 days. Project held a special steering committee meeting on 28th August, to share the findings of the project mid-term review and to endorse the revised results framework. 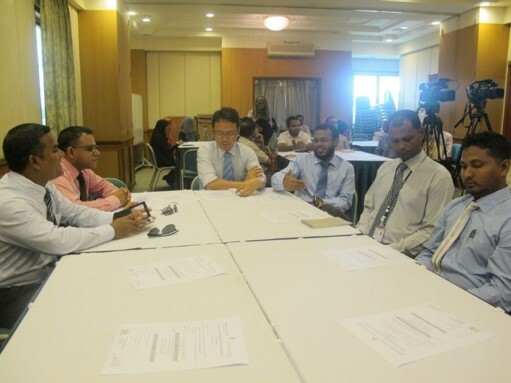 The meeting was chaired by the Permanent Secretary of the Ministry, Mr. Ajwad Musthafa. Discussions were held between the Project Management Unit (PMU) and the Mission from UN Environment. The mission was led by Dr. Shudhir Sharma, Task Manager, UN Environment and was accompanied by Ms. Leena Darlington, Fund Management officer, UN Environment. The objective of the meetings was to plan and finalize the reworking budget and the work plan as per the consolidated outputs and activities and to plan for the special steering committee (SC) meeting. 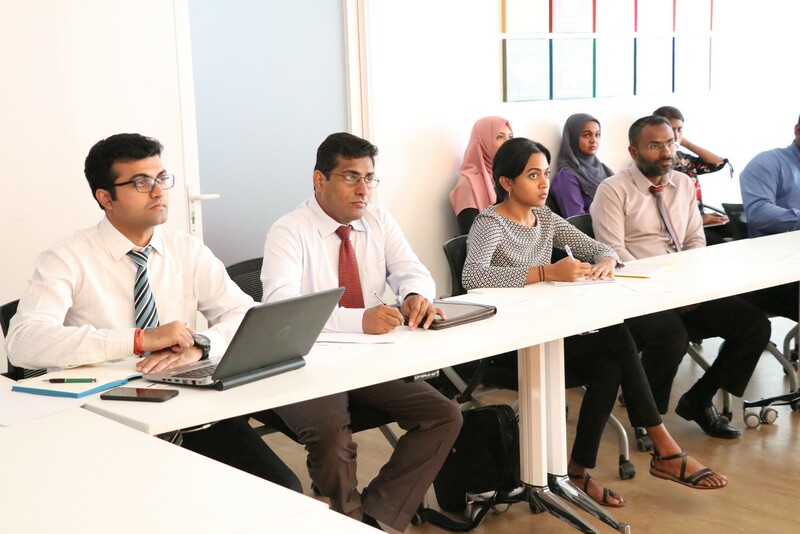 Maldives Energy Authority (MEA), with the support of LCEI project conducted a workshop on developing the framework of an Energy Efficiency Standards & Labelling Programme. The workshop held at Champa Central Hotel was inaugurated by the Minister of State for Environment and Energy Abdullahi Majeed. The energy efficiency standards and labelling programme is being developed for selected appliances and a total of 22 participants from importers of refrigerators, automatic washing machines and air conditioners, and other relevant stakeholders participated at the workshop. 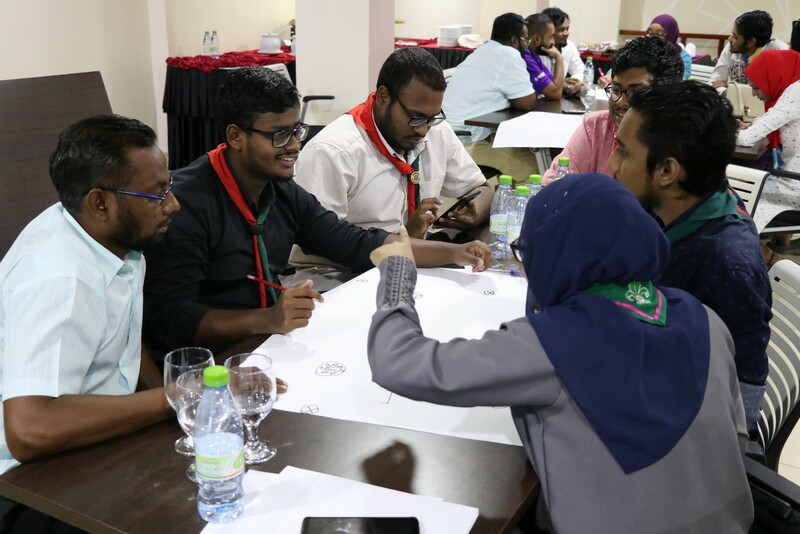 Training workshop on Energy Efficiency Badge Leaders Guide was conducted for the leaders of Maldives Girls Guide Association (MGGA) and The Scout Association of Maldives (SAM). The workshop was carried out by the consultant who developed and compiled the Energy Efficiency Badge Leaders Guide. Thirty-five (35) members from both MGGA and SAM took part in the workshop. 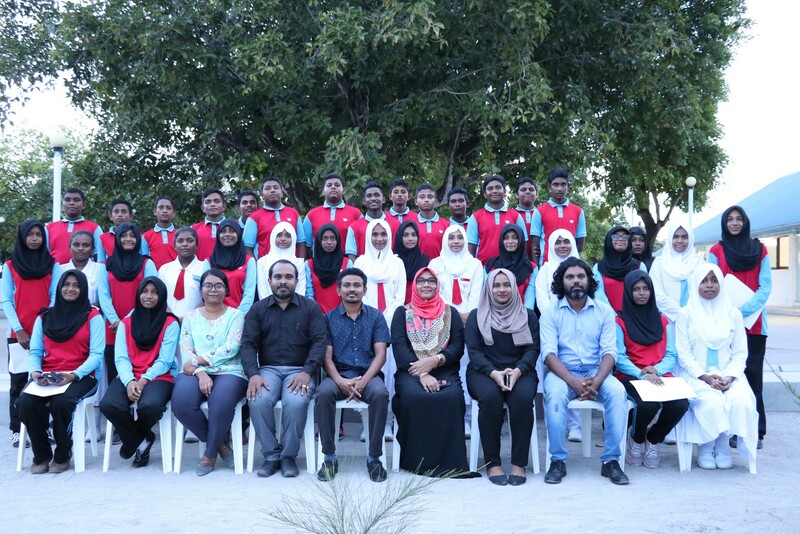 9th Energy Efficiency Awareness workshop was held at Nilandhoo School, GA.Nilandhoo on 11th July 2018. A total of 34 students from grade 8, 9, 10 and 11 participated in the workshop. 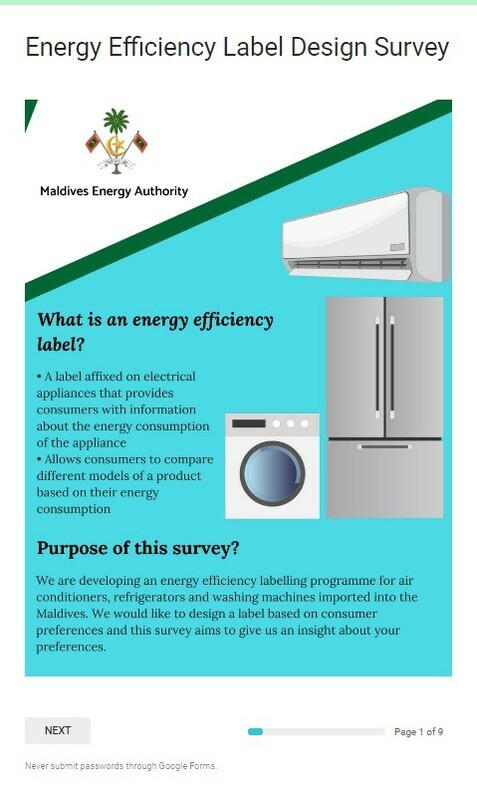 Maldives Energy Authority (MEA) launched an online survey for Energy Efficiency Label design. The purpose of the survey was to design the label based on consumer preferences. 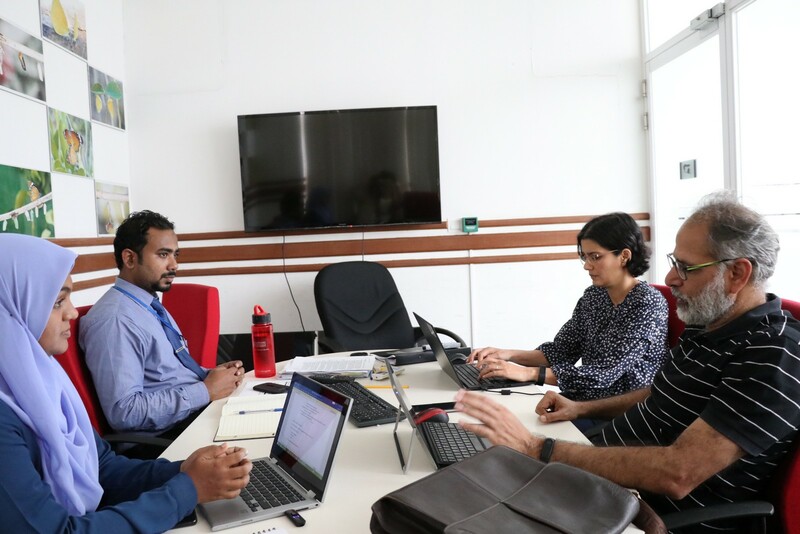 Mid-term review of LCEI project was conducted from 15th – 19th April 2018. The review was conducted by UN Environment commissioned Independent reviewer Professor Brahmanand Mohanty. The purpose of the review is to understand the progress and issues related to the progress of the project. The 3rd Steering Committee meeting of the project was held on 05th April 2018. On behalf of the Minster of Environment and Energy, the meeting was chaired by Minister of State for Environment and Energy, Hon. 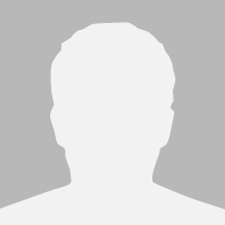 Abdullahi Majeed. In this meeting, the work plan for the year 2018 was endorsed by the Steering Committee members. 8th Energy Efficiency Awareness workshop was held at Th. Atoll Education Centre, Th. Thimarafushi on 28th February 2018. A total of 49 students from grade 8, 9, 10 and 11 participated in the workshop. 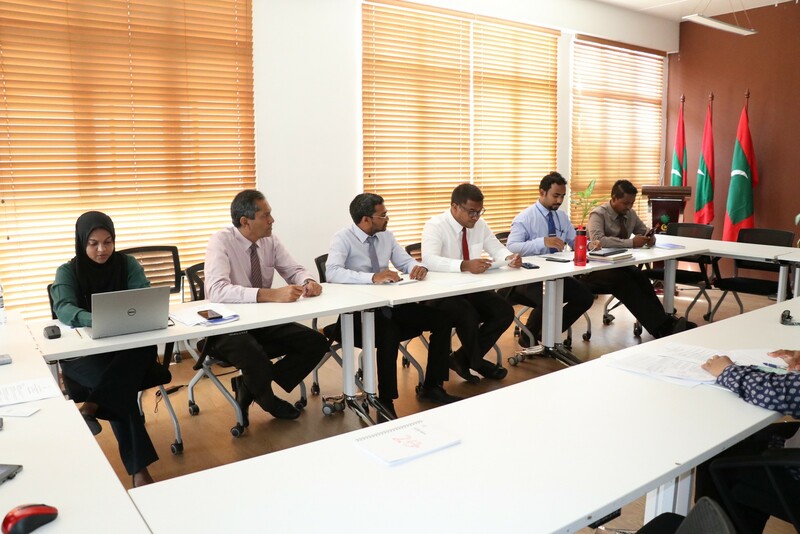 Meeting to brief the focal points about the assessment and designing of cost effective energy efficiency improvements at Velaanaage Building was held on 20th February 2018, at the Ministry. A detailed audit of selected buildings were conducted by project assigned consultant Utilico Private Limited. The selected buildings for the assessment were Velaanaage Office Building, four floors of a residential building of approximately 350 square metres situated in Hulhumale’ under Housing Development Corporation (HDC), a mosque of 800 people capacity and Maldives Meteorological Service office in Seenu Gan. 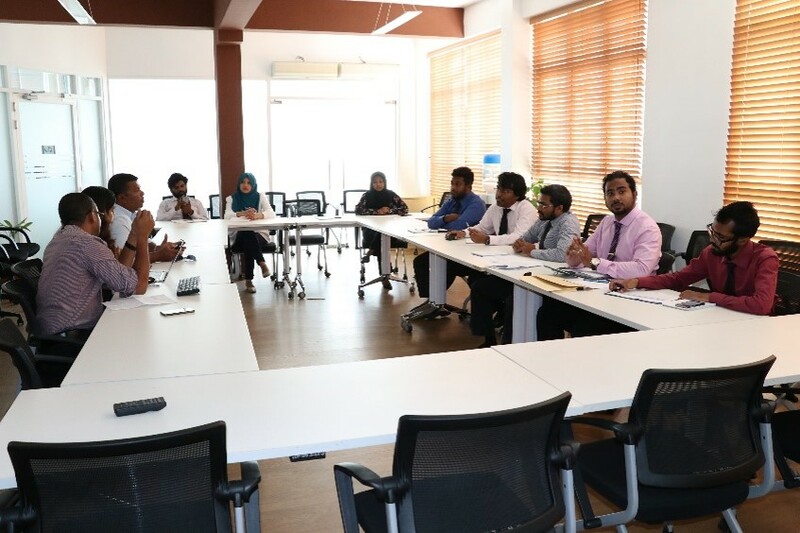 Based on the findings of the energy audit, the consultant will design cost effective energy efficiency improvements for Velaanaage Office Building, Hulhumale’ residential building and the Mosque; and develop a monitoring methodology for tracking the energy and GHG reductions. 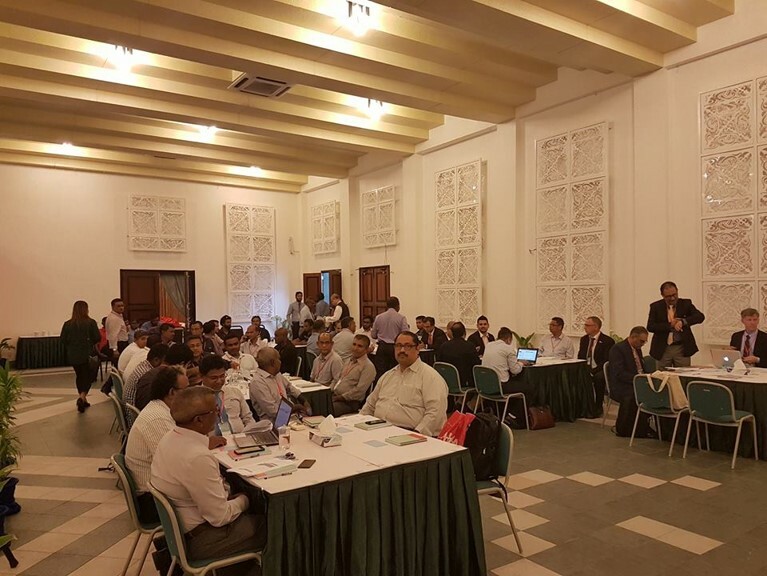 A half-day inception workshop was held on 7th February 2018, at the Ministry, for the development and implementation of energy efficiency standards and labelling program in the Maldives. 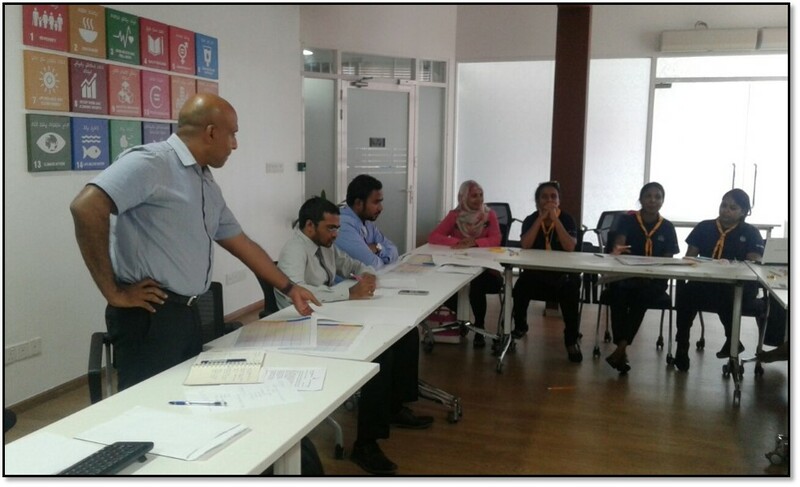 The workshop was organized by Maldives Energy Authority (MEA) conducted by Pricewaterhouse coopers (PwC). 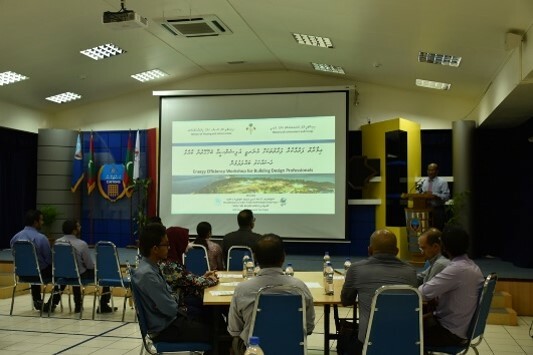 Officials from Ministry of Environment and Energy (MEE), Ministry of Economic Development (MED), Maldives Customs Service (MCS) and State Trading Organization (STO) participated in the workshop. 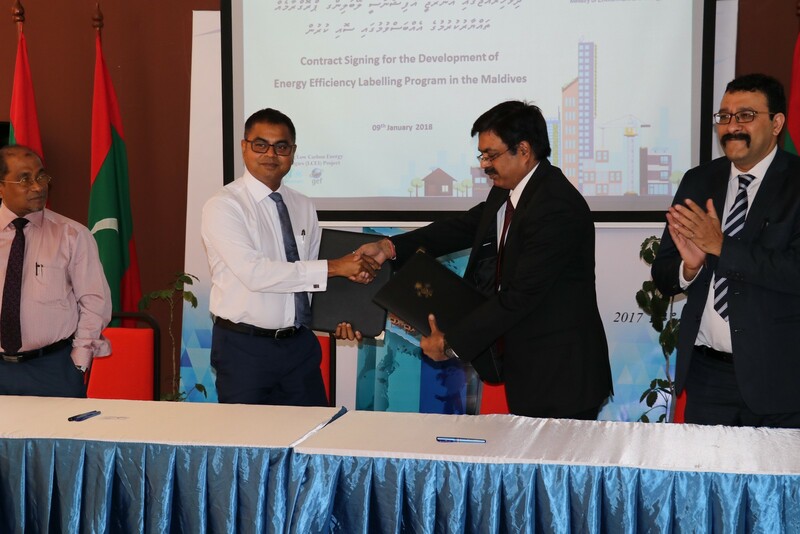 The contract for the Development of Energy Efficiency Labelling Programme in the Maldives have been awarded to Pricewaterhosecoopers Private Limited. The contract was signed on 09th January 2018. Honorable Thoriq Ibrahim, Minister of Environment and Energy signed the contract on behalf of the Ministry and Mr. Amit Kumar, Partner, signed the contract on behalf of Pricewaterhosecoopers Private Limited. 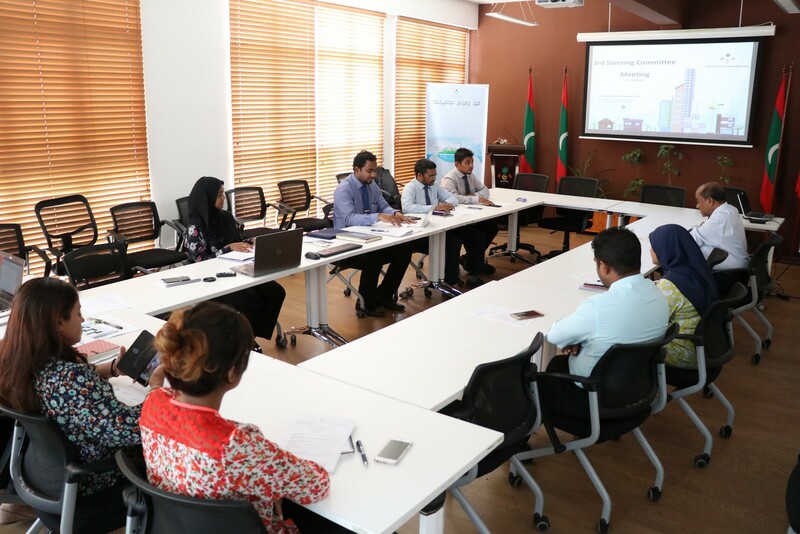 The objective of the assignment is to initiate the implementation of an energy efficiency labelling (EE Labelling) programme for selected appliances in the Maldives. Under the consultancy, Pricewaterhosecoopers will develop detailed methodology to issue energy efficiency labels for selected appliances along with necessary forms, documentation, and to develop monitoring methodology for the Labelling programme. 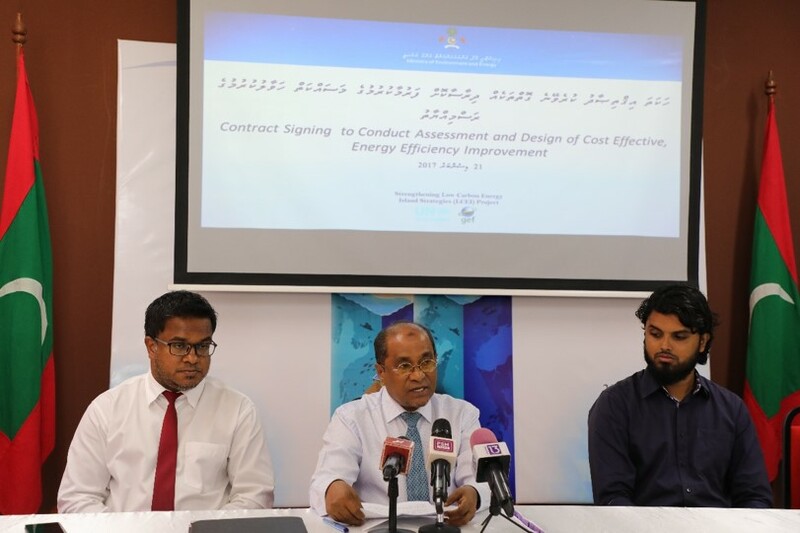 Contract signed with Utilico Private Limited to conduct “Assessment and Design of Cost Effective, Energy Efficiency Improvements” in the Maldives. Minister of State for Environment and Energy, Mr. Abdullahi Majeed signed the contract on behalf of the Ministry and Managing Director Mr. Ali Ahsan signed the contract on behalf of Utilico Private Limited . The objective of the assessment is to conduct detailed energy audits in selected buildings and design cost effective efficiency improvements. Recommendations on energy management practices and policies will be developed under the assessment, to improve energy management within government offices. Maldives National University (MNU) Business School organized and conducted a stakeholder consultation workshop for the “Assessment of Energy Efficiency Financing in the Maldives”, on 16th November 2017 at MNU Business School, seminar room. Representatives from government and non-governmental stakeholders participated at the workshop. 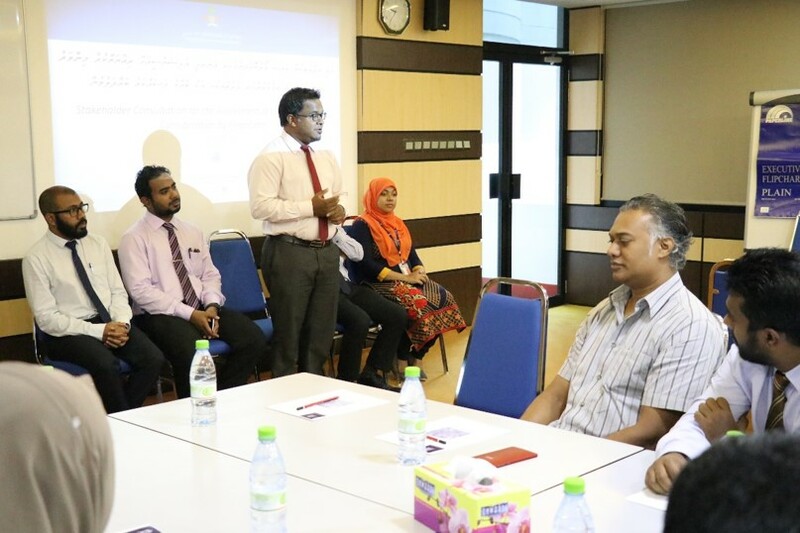 The workshop was inaugurated by the Permanent Secretary of the Ministry of Environment and Energy Mr. Ajwad Musthafa. Stakeholder workshop to revise the existing undergraduate program and to develop the curriculum of Master's program in Architecture focusing on green building concepts and energy efficient building practices for Faculty of Engineering Technology, The Maldives National University, was conducted from 13th to 14th November 2017. Representatives from relative private companies, firms, NGO's, architecture students and graduates participated in the workshops. Consultants from Utilico Pvt. Ltd & Anser Group Pvt. Ltd conducted the workshop. 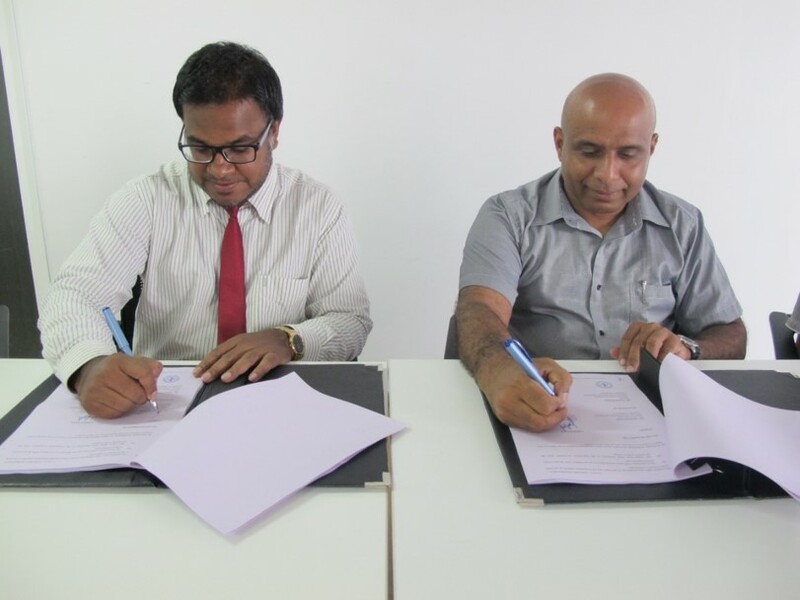 The Maldives National University awarded a contract to Utilico Private Limited to revise existing Undergraduate Architecture programme and to develop a Master’s programme in Architecture for Faculty of Engineering Technology of MNU focusing on green building concepts and energy efficient building practices. 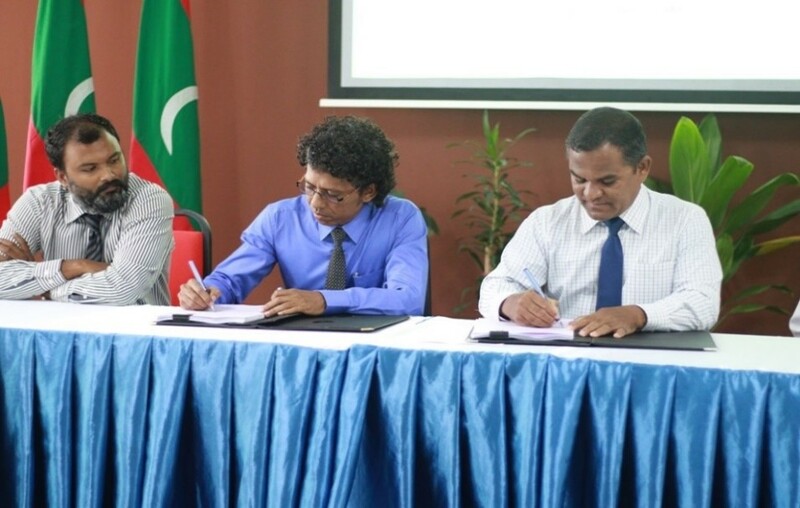 The contract was signed at the Central Administrative Building of MNU. Mr. Ghaanim Mohamed, Dean of Faculty of Engineering Technology signed the contract on behalf of MNU and the Managing Director Mr. Ali Ahsan Mohamed signed the contract on behalf of the Utilico Private Limited. A four day training program was conducted in association with by Energy Efficiency Services Limited (EESL) of India. The training program was held in New Delhi, India from 25th -28th September 2017. 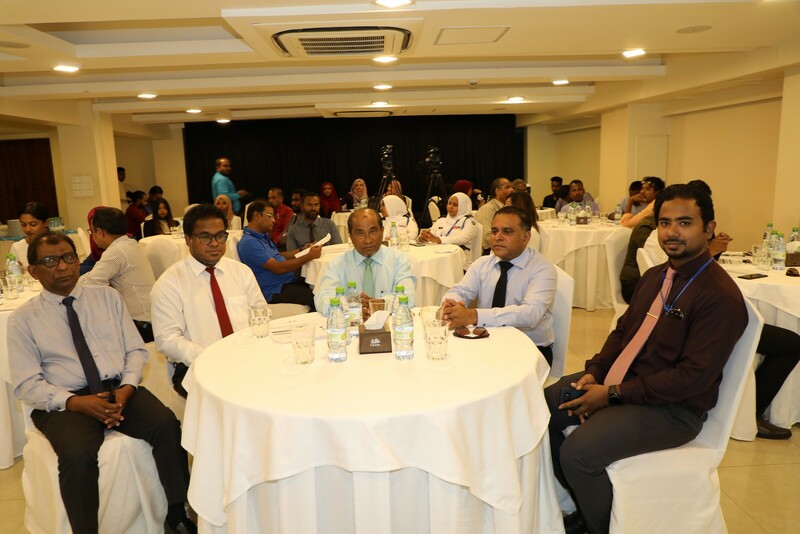 Officials from Maldives Energy Authority (MEA) and the Ministry of Environment and Energy (MEE) participated in the program. 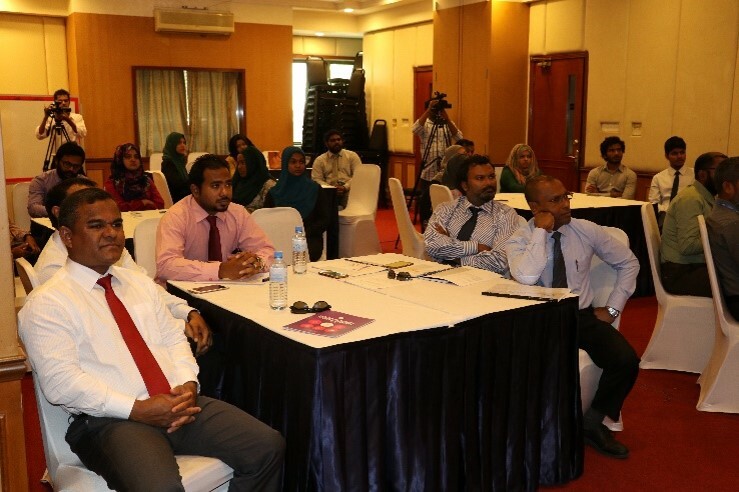 The aim of the program was to build technical capacity to implement standards and labelling program in Maldives. The participants of the capacity building program was exposed to program design and administration, institutional mechanism, test procedures, consumer awareness programs, monitoring and verification etc. pertaining to S&L program with special reference to Lights & ACs. An awareness workshop on energy efficiency was held in AA. Thoddoo School, AA. Thoddoo on 22nd August 2017. A total of 38 students from Grade 8, 9 and 10 participated in the workshop. The project’s progress & achievements towards creating enabling environment for energy efficiency in the Maldives was presented to the participants of the Ozone2Climate technology expo 2017. Mr. Mohamed Inaz, Project Manager of low carbon energy island strategies (LCEI), participated in the discussion during the 2nd round table session of the Expo on 14th August 2017. An awareness workshop on energy efficiency was held in Lh. Atoll Education Centre, Lh. Hinnavaru on 11th and 12th July 2017. A total of 71 students from Grade 8, 9 and 10 participated in the workshop. 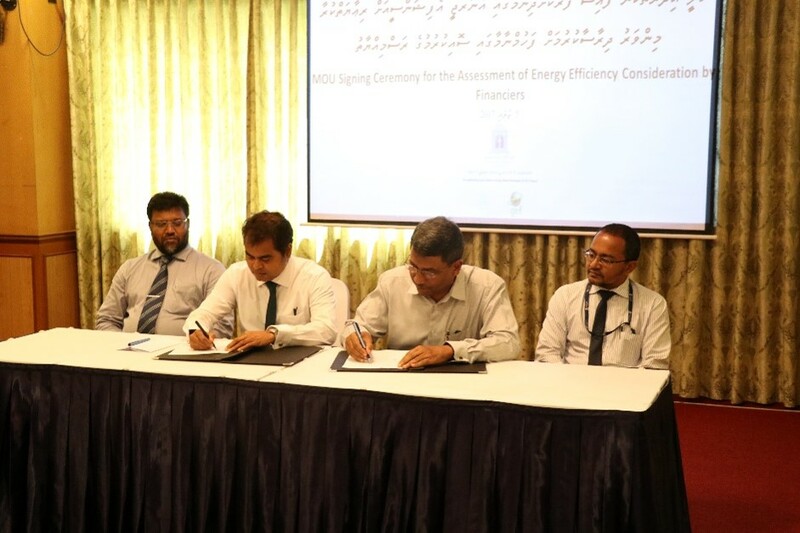 A Memorandum of Understanding (MOU) was signed on 5th July 2017 between the Ministry of Environment and Energy and the The Maldives National University for the “Assessment of energy efficiency consideration by financiers”. Minister of Environment and Energy Mr. Thoriq Ibrahim signed the MOU on behalf of the Ministry and the Chancellor Dr. Mohamed Latheef signed the MOU on behalf of the University. The objective of the MOU is to assess the considerations given for energy efficiency when providing finance by financial institutions of the Maldives and identify gaps to be addressed in financing energy efficiency initiatives. 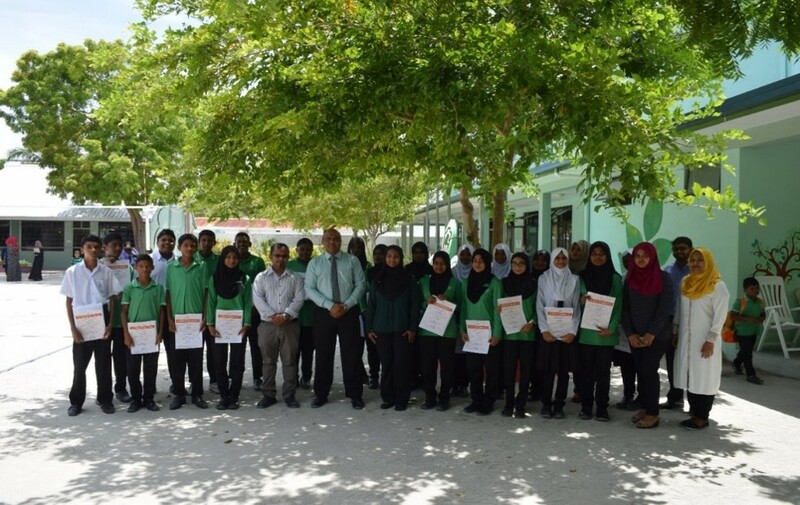 An awareness workshop on energy efficiency was held in Raa Atoll School, R. Dhuvaafaru on 29th and 30th April 2016. A total of 62 students from Grade 8, 9 and 10 participated in the workshop. An awareness workshop on energy efficiency was held in Noonu Atoll Ken’dhikulhodhoo School on 26th and 27th April 2017. A total of 53 students from Grade 8, 9 and 10 participated in the workshop. 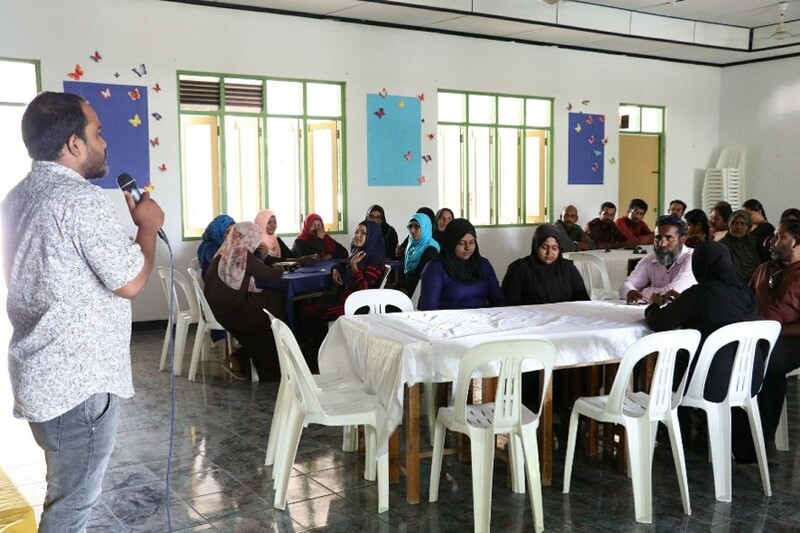 Officials from Ministry of Environment and Energy and Maldives Energy Authority conducted an Awareness session on Energy Efficiency and Energy Conservation for Academic and Administrative staff of Ken'dhikulhudhoo School, N.Ken'dhikulhidhoo on Professional Development Day. 38 staff participated in the session. The second steering committee of LCEI project was chaired by the Minister of State for Environment and Energy, Mr.Abdullahi Majeed. 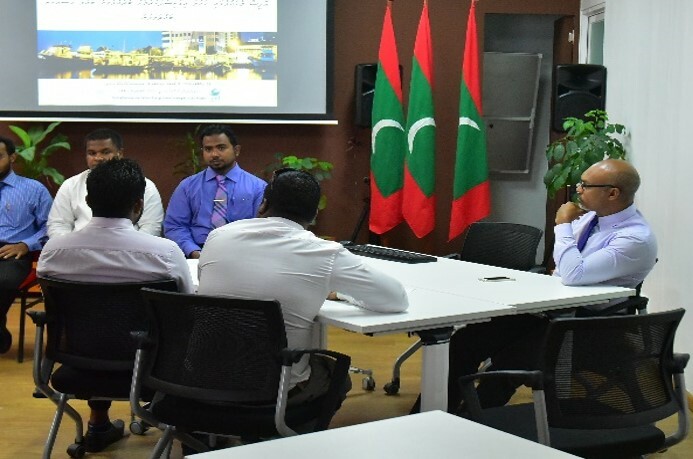 Officials from the Ministry of Housing and Infrastructure, Maldives and relevant departments of the Ministry of Environment and Energy participated in the meeting. In the meeting, overview of the LCEI project was presented by Mr. Ahmed Waheed, Director of Ministry of Environment and Energy. Mr. Mohamed Inaz, Project Manager of the project briefed the committee members about the activities undertaken under the project during the last year and presented the work plan for the year 2017. The work plan for the year 2017 was endorsed by the Steering Committee members. 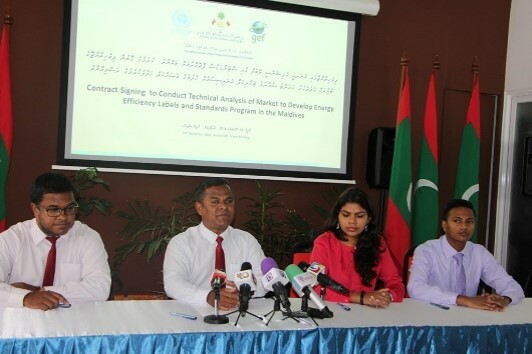 Workshop conducted with Ministry technical staff to reveiw the draft report on Technical Analysis of Markets to Develop Energy Efficiency Labels and Standards in the Maldives. The report was presented by Consultants from CDE Private Limited. The main objective of the technical analysis is to assess the characteristics of appliances imported to the Maldives and to capture baseline appliance market data in the Maldives. The results of the analysis will be used to inform and support government decision-making on the most suitable Energy Efficiency Labels and Standards in the future. 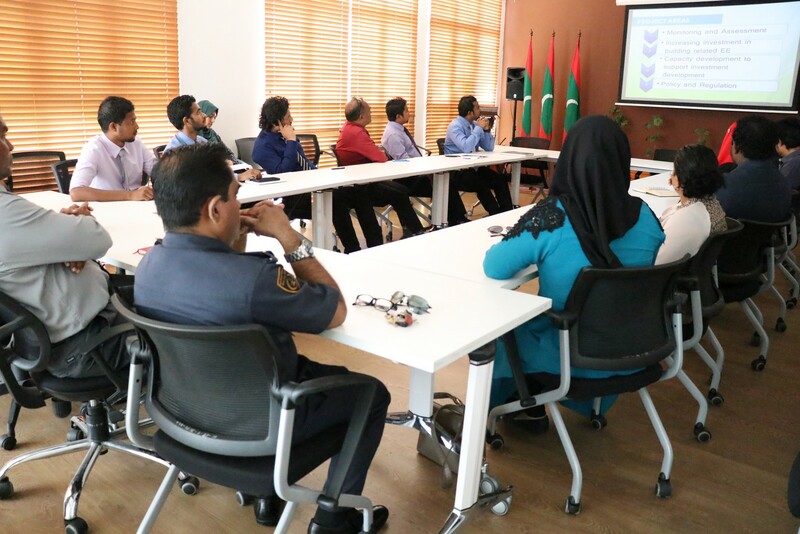 Stakeholder workshop to review Energy Efficiency Badge tool kit conducted. Officials from Maldives Girl Guides Association, The Scout Association of Maldives and Faculty of Science participated in the workshop. The tool kit is being developed by Dr. Simad Saeed and Mr. Riyaz Jauhary. Minister of Environment and Energy Mr. Thoriq Ibrahim awarded the prizes to the winners of “Energy efficiency Art Competition 2016”. A total of 8 students received awards at the ceremony. The art competition was organized to derive the designs of Energy Efficiency badge which is being developed for Girl Guides and Scouts in the Maldives. An awareness workshop on energy efficiency was held in Faafu atoll Magoodhoo School on 3rd February 2017. 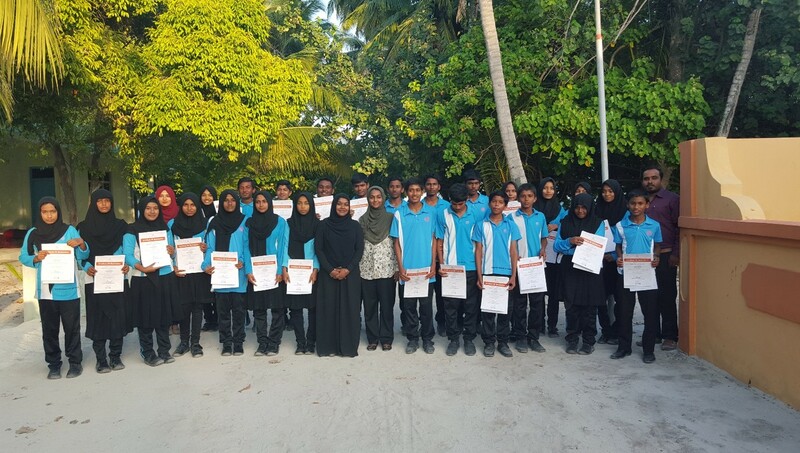 A total of 25 students from Grade 8, 9 and 10 of Magoodhoo School participated in the workshop. The workshop was organized by LCEI project with assistance from Energy Department of Ministry of Environment and Energy. In the workshop 18 participants from different government agencies participated. Speaking at the workshop opening ceremony Permanent Secretary of Ministry of Environment and Energy, Mr. Ajwad Musthafa highlighted the importance of saving energy in Public buildings as the Government is one of the biggest consumers of electricity. The workshop was conducted by officials from Ministry of Environment and Energy and the LCEI Project Management Unit. Workshop on Energy Efficiency for Building Design Professionals conducted. The workshop was organized by Ministry of Environment and Energy in association with Ministry of Housing and Infrastructure. In the workshop 20 participants from building sector. The workshop was organized jointly by “Strengthening Low Carbon Energy Island Strategies” project and “HCFC phase-out management” project of the Ministry of Environment and Energy. Development of Green Building Concepts particularly Energy Efficiency modules in training programs of the Maldives National University. 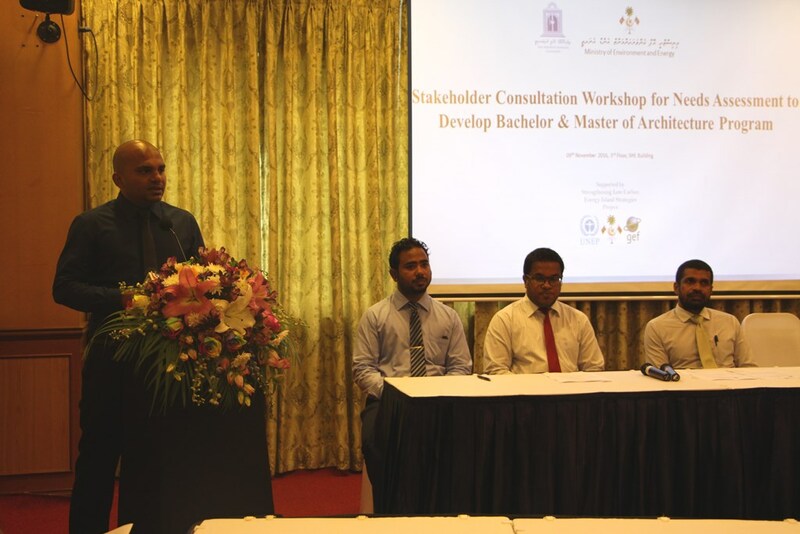 Needs assessment stakeholder Consultation workshop to develop and incorporate “Green Building Concept” into Bachelor & Master of Architecture Program conducted. The workshop was organized by Maldives National University (MNU) with assistance from Ministry of Environment and Energy. In the workshop 20 participants from different government agencies, education sector and private sector participated. The purpose of the workshop was to attain stakeholder input in undertaking a needs assessment to revise the curriculum of Bachelor of Architecture Programme and develop a curriculum for Master of Architecture programme conducted by Maldives National University. Contract signed with Riyan Private Limited to conduct Research on Consumer Behavior and Preferences Regarding Energy Efficiency in Households. Minister of State for Environment and Energy, Mr. Abdul Matheen Mohamed signed the contract on behalf of the Ministry and Managing Director Mr. Ibrahim Hameez signed the contract on behalf of Riyan Private Limited. An awareness workshop on energy efficiency was held in Kaafu Atoll Maafushi School from 03rd -04th October 2016. 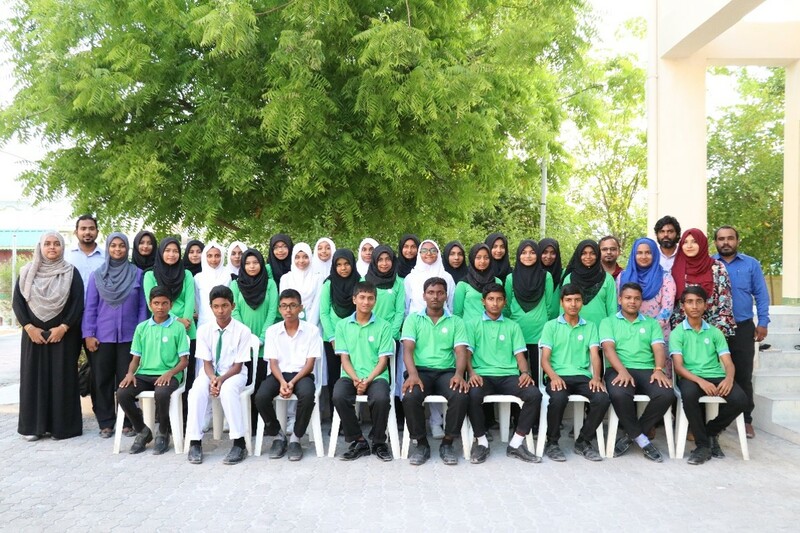 A total of 44 students from Grade 8 and 9 of Maafushi School participated in the workshop. 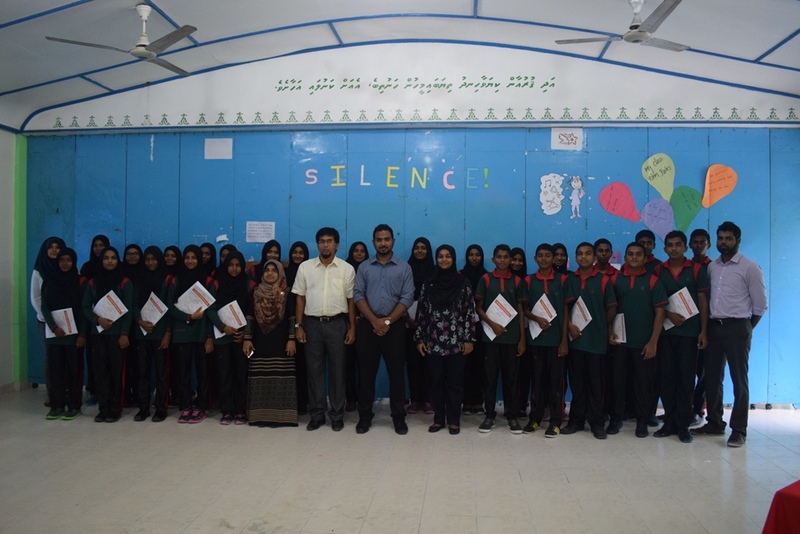 An awareness workshop on energy efficiency was arranged in collaboration with Shaviyani Atoll Funadhoo School. The workshop was held in Shaviyani Atoll Funadhoo School from 26th -27th August 2016. 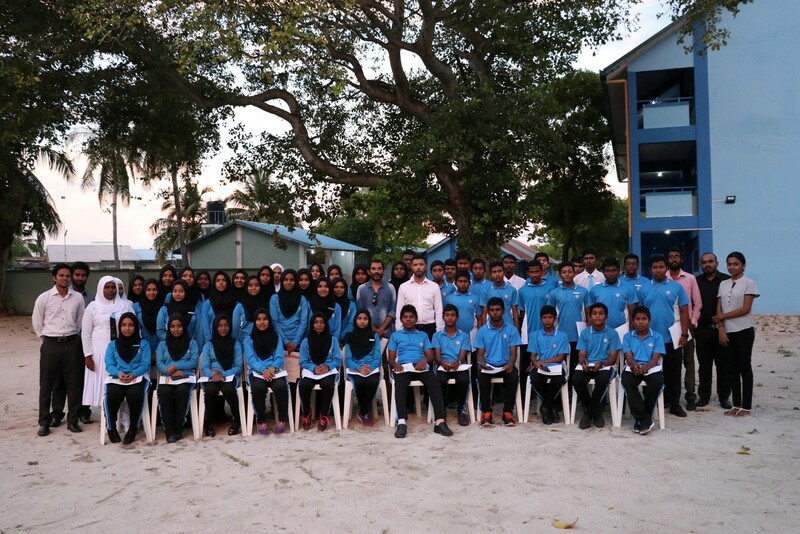 A total of 49 students from Grade 8, 9 and 10 of Funadhoo School participated in the workshop. 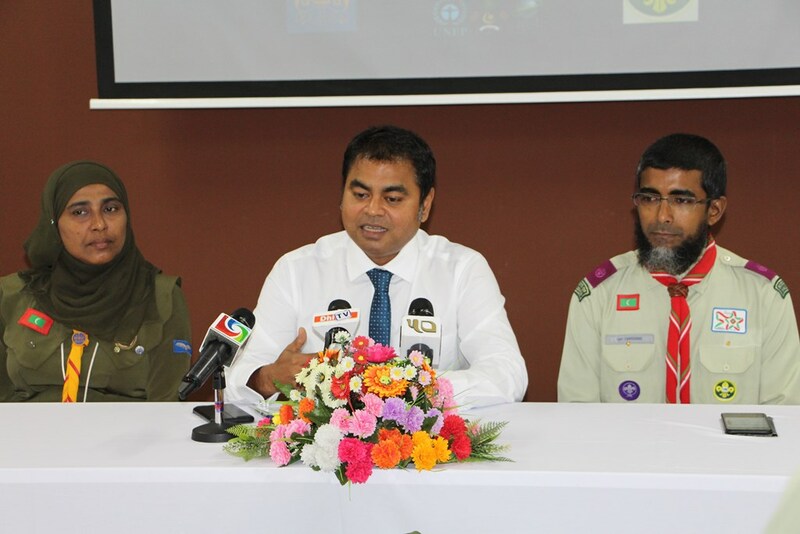 Contract signed to develop educational tool for Girl Guides and Scouts in the Maldives. The contract was awarded to Dr. Simad Saeed. Permanent Secretary of Ministry of Environment and Energy, Mr. Ajwad Musthafa signed the contract on behalf of the Ministry. Contract signed for the development of four video spots on climate change and energy efficiency. The contract was awarded to Mr. Abdulla Yamin. Permanent Secretary of Ministry of Environment and Energy, Mr. Ajwad Musthafa signed the contract on behalf of the Ministry. 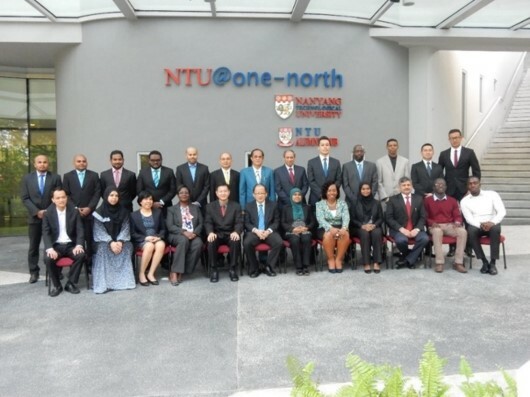 The training course held in Singapore was supported by Singapore Cooperation Programme (SCP) , Ministry of Foreign Affairs Singapore through the LCEI project. The training course was conducted by Nanyang Technological University, Singapore (NTU) from 18 to 22nd July 2016. 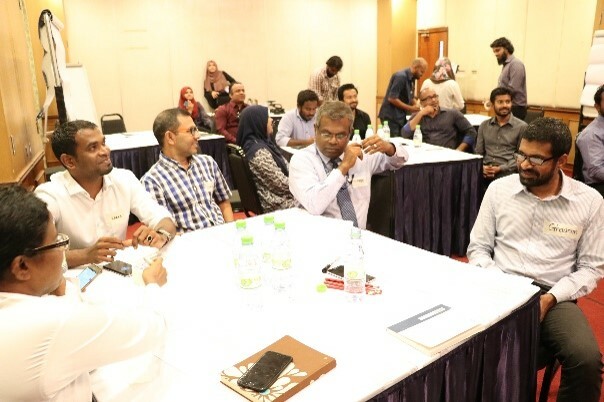 Officials from Ministry of Environment and Energy, Maldives, Ministry of Housing and Infrastructure, Maldives, The Maldives National University (MNU) and Maldives Polytechnic participated in the training course. 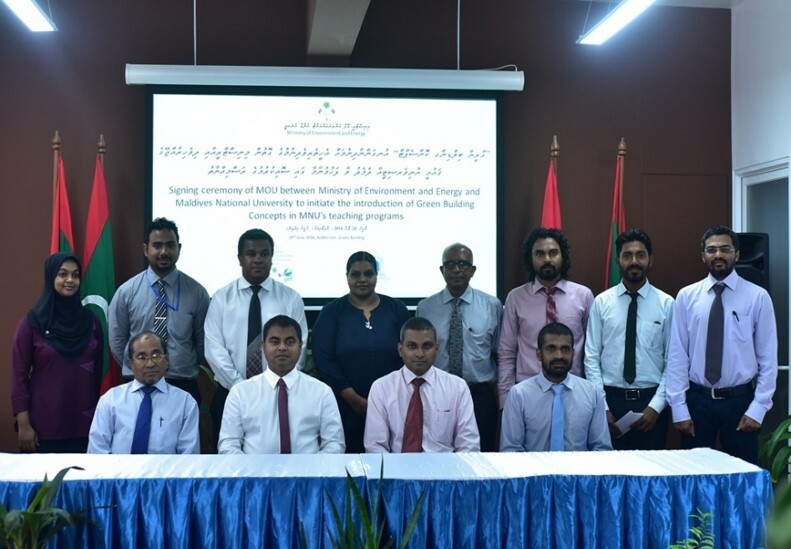 The Ministry of Environment and Energy, Maldives National University signed a Memorandum of Understanding (MoU) of MVR 1.3 Million. The objective of the MoU is to integrate and deliver Green Building Concepts particularly Energy Efficiency modules in training programs of the Maldives National University. The MoU was signed in a ceremony held at the Ministry of Environment and Energy today. The signatories were the Minister of Environment and Energy Mr. Thoriq Ibrahim and the Vice-Chancellor of Maldives National University Dr. Ali Fawaz Shareef. A television drama named “Dhenagannamaa” was produced and telecasted on Public Service Media’s TV Channel Television Maldives (TVM). The drama convey the message of importance of using electric items in an energy efficient way. Through this drama key messages on how to use air conditioners, refrigerators and other electric appliances were conveyed. 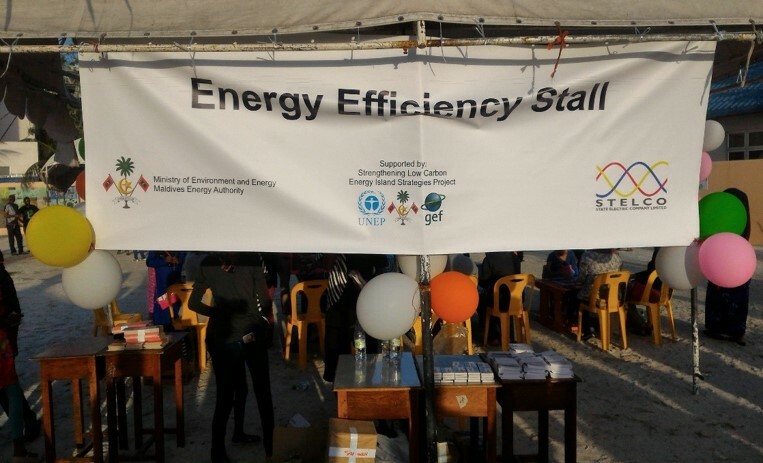 An energy efficiency stall was organized at the World Environment Day Festival held in Rasfannu. 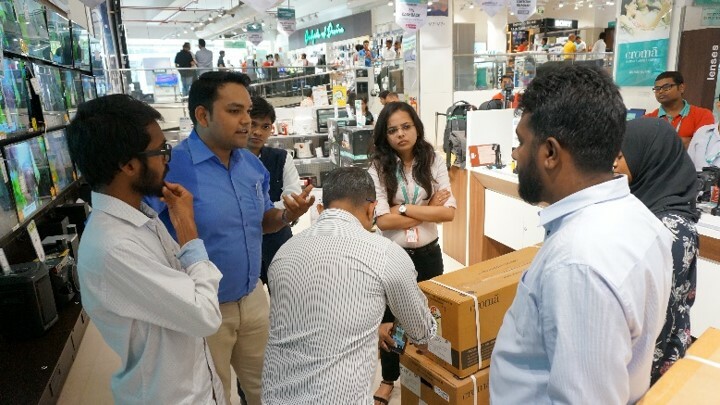 The stall was organized by the Ministry with support from the LCEI project in association with State Electric Company Limited (STELCO) and Maldives Energy Authority (MEA). The activities and games in the stall was designed to increase the awareness of energy efficiency. In addition to these leaflets about climate change and energy efficiency were distributed. 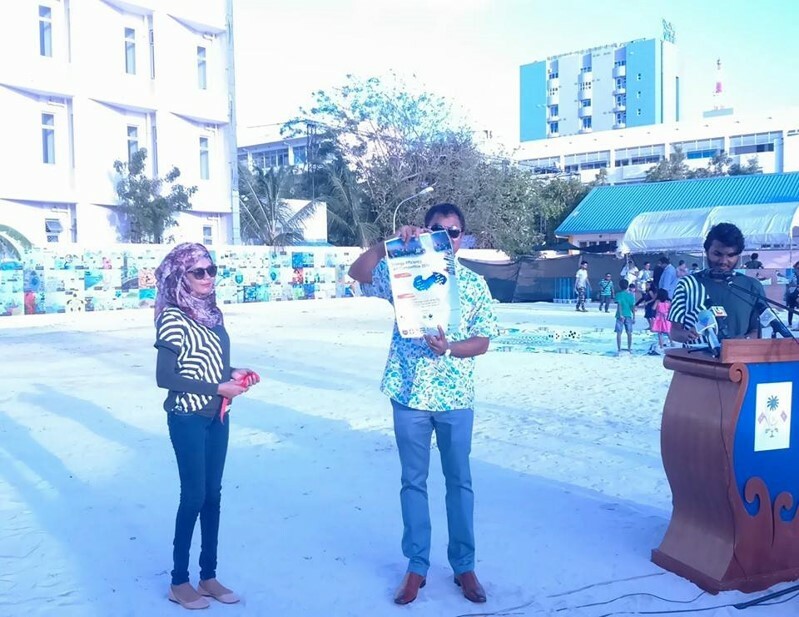 Energy Efficiency Art Competition 2016 was launched at World Environment Day Festival held in Rasfannu to mark the World Environment Day 2016. The competition was launched by Minister of Environment and Energy Mr.Thoriq Ibrahim. 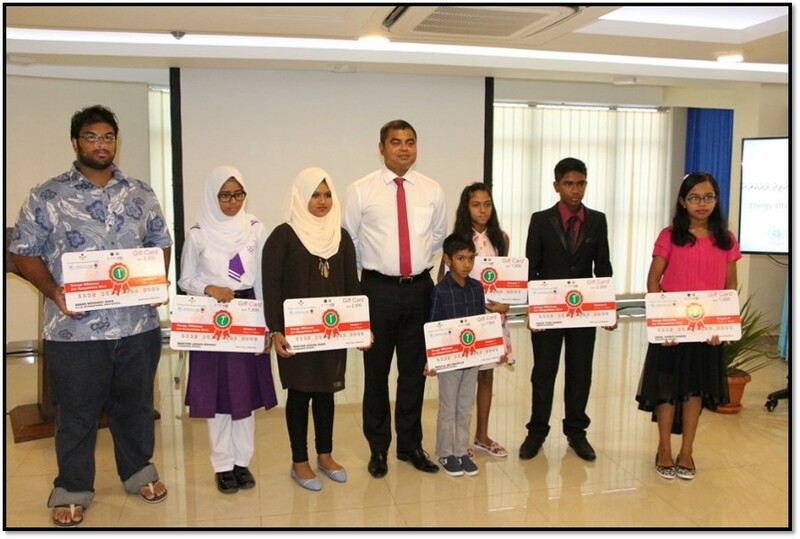 The art competition was organized to derive the designs of Energy Efficiency badge which is being developed for Girl Guides and Scouts in the Maldives. 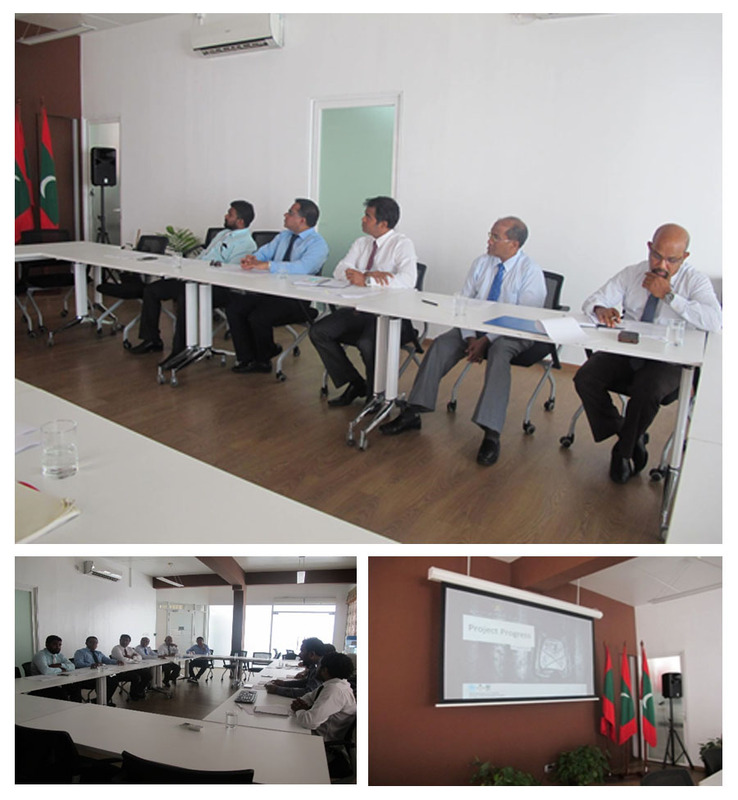 The first project steering committee meeting was chaired by Minister of Environment and Energy, Mr. Thoriq Ibrahim. In his opening statement Minister highlighted the importance of stakeholder involvement throughout the project to ensure a successful implementation of the project. 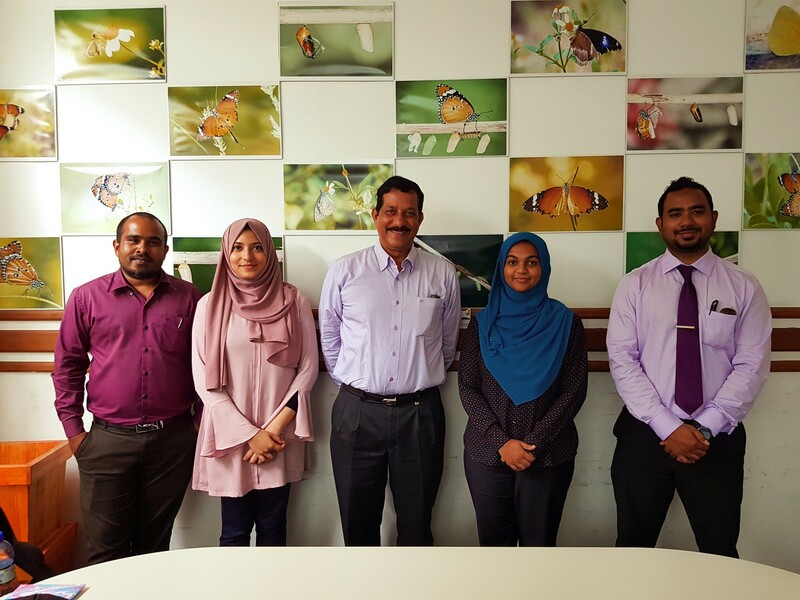 The Ministry of Environment and Energy, Maldives Girl Guides Association, and the Scout Association of Maldives signed an Memorandum of Understanding (MOU) on learning and creating awareness on climate change and energy efficiency issues. The MOU is to implement a badge focused on climate change and energy efficiency for all age groups of Girl Guides and Scouts. The outreach of the activity is estimated to be more than 10,000 members of Girl Guides and Scouts and it would have a ripple effect in passing the knowledge from the Girl Guides and Scouts to the community. The inception workshop was inaugurated by Minister of State for Environment and Energy Mr. Abdul Matheen Mohamed. In his remarks, Mr. Abdul Matheen Mohamed highlighted the activities that would be carried out by the project to reduce greenhouse gas emission from building sector.